This wonderful tuber is certainly getting popular. I got involved in identifying a specimen from Jamie Oliver's garden a few days ago . His online editor was after recipe ideas because it was being cooked in Jamie's '15' restaurant. It would be great if Oca now started to get the attention it deserves! One of the first recipe books I bought was from Cranks - the famous and ground breaking Central London vegetarian restaurant. One of their signature dishes was an old English dish called Homity Pie. It contains potatoes in an onion, cheese and herb sauce/coating, baked till crisp on top. I thought that the taste and texture of the oca would substitute for the potatoes really well, so I gave it a try when cooking dinner for guests. It went down a storm. The firm and very slightly acidic oca marry perfectly with the other ingredients. It's an easy dish to prepare and is as good for family meals or entertaining. I served it warm with a seasonal foraged salad. It's also great with baked beans for lunch. I made a large version as I was entertaining, but I've reduced the recipe to make a family sized pie. If you have spelt flour, it makes a really good wholemeal, nutty tasting addition to the pastry - a change which I think the founders of Cranks would have appreciated. You'll need a greased spring form tin of approximately 20cm diameter or similar to cook this in. When I cooked mine in a large bakewell pan, I lined the pan with greaseproof paper so that I could take the flan out in one piece and then serve on a board (off the paper) at the table. I blind bake (part bake before adding the filling) the pastry case for this pie. After many years of cooking homity pie, I think it's the best way of getting a nice crisp pastry crust to complement to creamy, starchy filling. First make the pastry. Sieve the flour, salt and baking powder into a bowl. Add the butter (and fat if using) and rub this into the flour until it appears like breadcrumbs. Add sufficient water so that the dough just comes together. You can do all that in a food processor, just do enough to get the dough to start to come together, don't overprocess. Shape the dough into a suitable flat shape for the baking tin/dish you are using. (So shape into a flat round to go into a round tin.) This means you have less work to do once the dough has rested to roll it out. Cover in clingfilm and pop in the fridge for at least 30 minutes before rolling out. Preheat an oven to 200°C with the shelf in the middle. Steam or boil the oca for about 10 minutes or so until they are tender with just a little resistance in the centre. Drain if necessary and leave to steam dry while you prepare the other ingredients. Heat the oil over a medium heat in a sauté pan. Add the onions, garlic and parsley stalks and sauté stirring occasionally until the onion is tender and translucent. Take off the heat and set to one side. Take your pastry out of the fridge and roll it to line your greased tin or dish. If you have time, pop back in the fridge to chill for an hour or so, or pop in the freezer for 30 minutes. This will help prevent shrinkage. Line the pie case with greaseproof or baking paper and fill with baking beans. Bake in the oven for about 15 minutes. Take out of the oven and remove the beans and paper. Turn the oven down to 180°C and bake until the pastry is golden brown, about another 15 minutes. Put the oca, onion mix, 250g cheese, herbs, salt and pepper to taste into a mixing bowl and combine thoroughly but gently without breaking the oca too much. If you need to, splash in a little milk or cream to make a nice coating. You don't want lots of free liquid or your nicely crisp base (you did blind bake it, didn't you?) will get soggy. Pile the oca mix into the pastry case in a rustic fashion and then grate the remaining 100g cheese on top. Bake in the oven for about 25 minutes or so until the top is nicely browned and the oca mix is heated through. If you did not blind bake the case you'll need to cook the pie for about 40 minutes or so. If the top looks like it's getting too browned, cover it with some foil or baking paper. Take out of the oven and allow to cool a bit. I find it tastes better when allowed to cool a little rather than fresh out of the oven. It's also great at room temperature. This is just great with bacon in the mix for non-veggies. You can use 75g lard instead of the vegetable shortening. Gently fry about 100g of (smoked) streaky bacon cut into 1cm dice gently in the sauté pan so that some fat renders and the bacon starts to brown. Then add the onions, garlic and parsley stalks and continue as above. 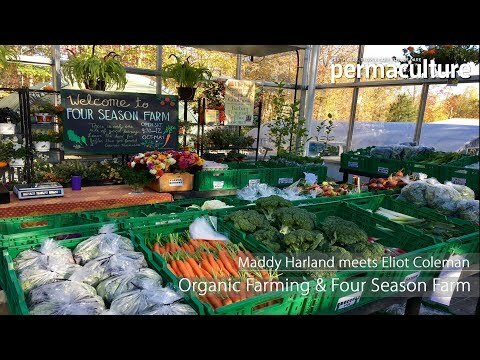 Will Permaculture become the new dominant narrative? "... the distillation of decades of experimentation and research with a broad range of trees and climatic zones and microclimates... a well-designed book ... with beautiful photography."